Gruau Le Mans offers 'customised' fittings to meet your requirements in terms of function, mobility and image. The industrial capacity of Gruau Le Mans makes the group responsive and flexible. So you get a vast range of options from mass-produced vehicles to special one-offs. If you have a specific need. Specialists: A team that understands the needs of the culture professions, and the design, manufacture and maintenance of your vehicles. 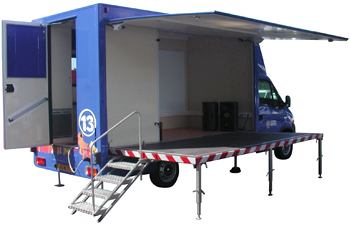 Gruau offers a large range of options for all your mobile offices and promotional displays. These highly practical travelling spaces, bearing your image, bring you as close as you need to your public and your clients. Gruau devotes all its research and development abilities to study your needs and optimise the payload. Real transport vehicles to respond to your local customer requirements and to decentralise services. It can be built attractively round the chassis of your choice. 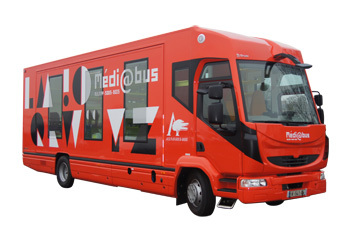 'Blood Transfusion' vehicles, occupational medicine vehicles, etc. Ergonomic: each vehicle is carefully researched. The fittings are made to measure using an insulated free-standing compartment so that we can begin fitting out the vehicle before we have the chassis. 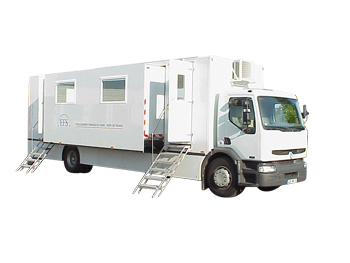 Expertise: Mobile Medical Centres made by Gruau are specialised vehicles used by many branches of the MSA – the French farmers’ insurance fund. 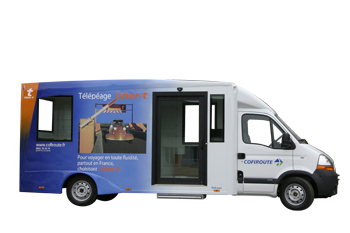 The Bébébus has all the equipment you need to cater for young children. 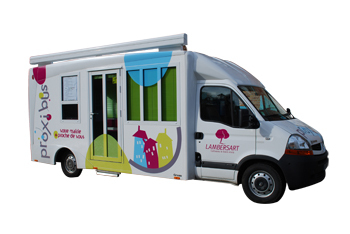 This mobile facility is the ideal partner for social services departments wishing to offer a neighbourhood service for a few hours or a whole day, to parents who will be reassured by a professional, qualified team of workers. Gruau offers you a complete range of mobile workshops designed for the specialists in your field. 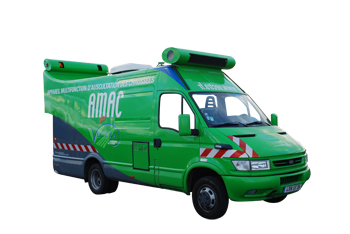 Peace of mind: These vehicles transport your employees safely for on site repairs with all the necessary equipment and technology ready to use, in optimum conditions.